In this world gone mad where even the most renowned rock festivals are boasting pop and hip hop in their line-ups, it is tragically rare that one has the chance to enjoy laid-back classic rock, passionate prog metal, gothic morris dancing, and a nice cup of tea in the company of more bearded men than one can comfortably shake a stick at. However, this July, Victoria Park was home to an immensely intense yet surprisingly relaxing weekend of just that, and I found myself happily in the thick of it. 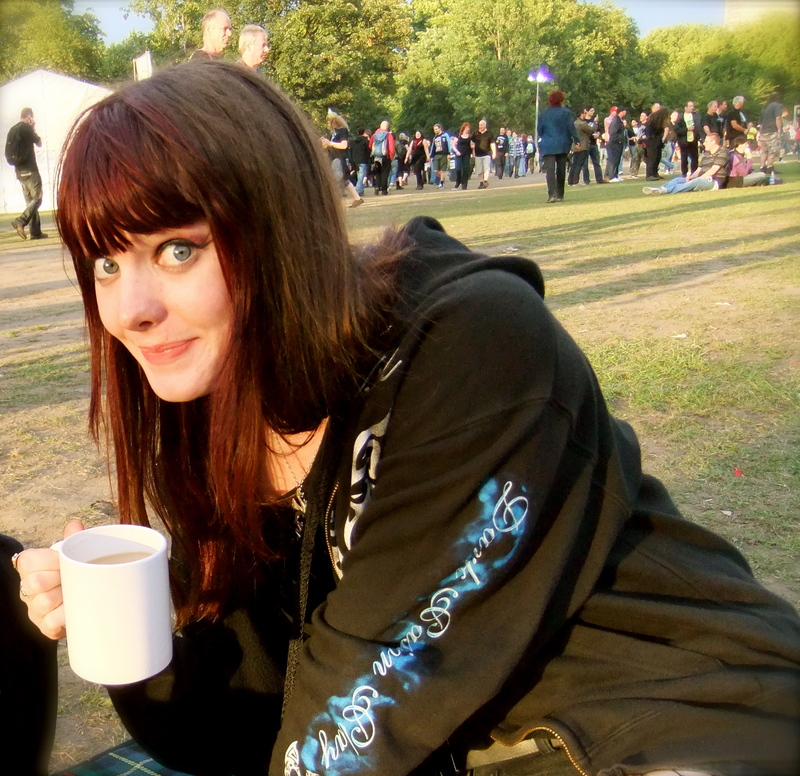 Out of the two day festival, Saturday boasted the more ‘mainstream rock’ lineup, including Judas Priest, Slash and Thin Lizzy on the main stage. However, other than a few entertaining glimpses of Rob Halford’s extensive and fabulous costume changes (think tassels and studs, people) we ended up sourcing our day’s entertainment predominantly from the Classic Rock Presents Prog stage, with a couple of detours to the main stage earlier in the day for lesser known but certainly talented acts such as Rival Sons and Anathema. The former were a relatively new discovery for me, despite numerous recommendations from people. They will be pleased to know that the group did not disappoint, and their sound was, in my opinion, even better live than on their recorded material, particularly due to the extended solos and encouragement of crowd participation. 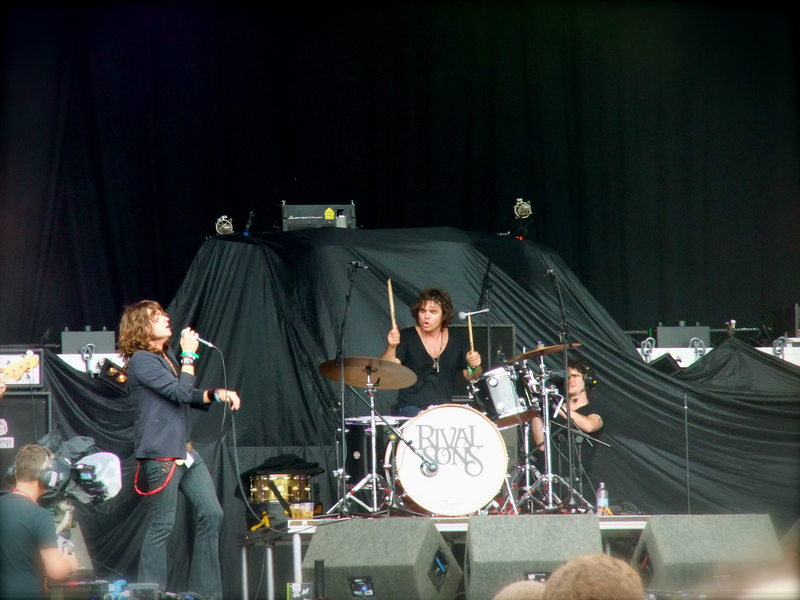 Catchy without being obvious and bluesy without being miserable, tracks such as Gypsy Heart and Burn Down Los Angeles had everyone shedding a few inhibitions and bopping around in the afternoon sun, convinced by frontman Jay Buchanan’s Jagger-esque moves that it was acceptable to do so. 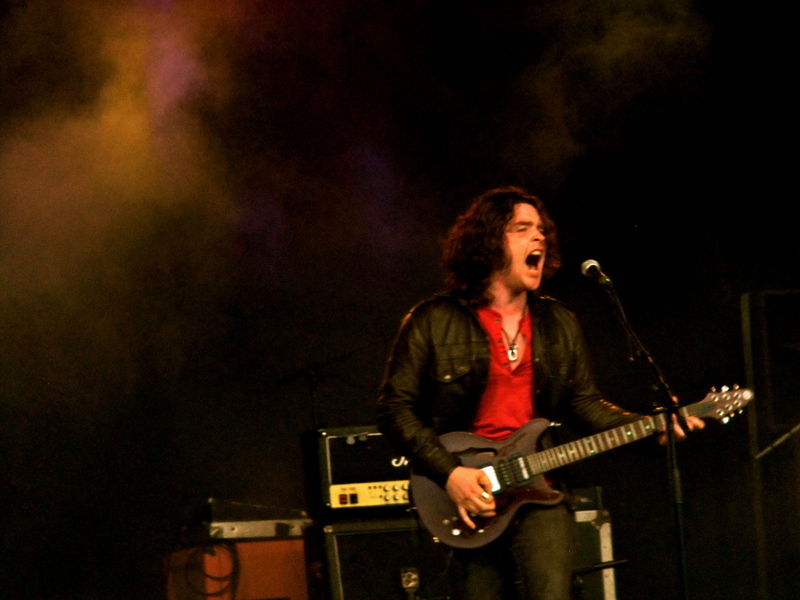 The Californian quartet were also given a last-minute second chance to shine, and did so exquisitely, when it became known that the Metal Hammer stage’s headline act, Electric Wizard, were unable to make their slot. Disappointed metalheads gave way to a wave of appreciative rock fans siphoning off from the main stage, seeking an alternative to the campy show-metal of the night’s headliner. 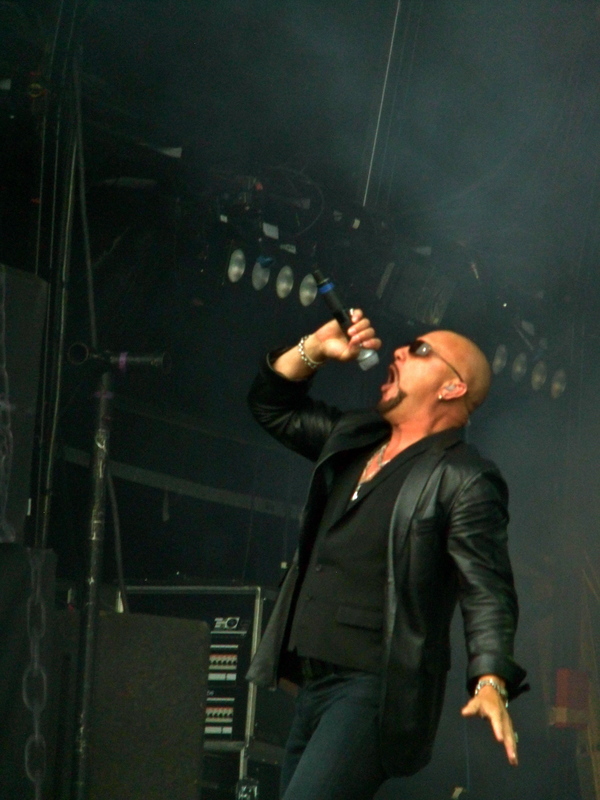 Another frontman who is evidently no stranger to showbiz was Queensrÿche’s Geoff Tate, belting out crowd favourites passionately, and periodically flinging his microphone stand across the stage. Muscially spot-on and full of character, the set disappointed its audience only in terms of technical difficulties, resulting in Tate’s sultry and wide-ranging vocals being virtually inaudible at points to anyone in the centre of the audience. However, enthusiastic fans made up for the lack of audible vocals with their own equally heartfelt albeit not nearly as tuneful sing-a-long to hits such as Jet City Woman and I don’t Believe in Love. From Queensrÿche, we hot-footed it back to the smaller prog stage to catch the second half of Anathema’s set (cursing stage time clashes as we went). Having been placed on the prog stage rather than the metal stage, the band had opted to play the majority of their set from their most recent and certainly more mellow album, We’re Here Because We’re Here, met unsurprisingly well by old and new fans alike. However, the obligatory departure from the album was made for the show-stopping A Natural Disaster, heart-rendingly performed by the lovely Lee Douglas, sister of the band’s drummer and the heartthrob of many a male onlooker, one of whom leaned over to inform me, “I must find a way to kidnap her and make her marry me”. The song was followed by Closer, a synth-fuelled and driving number very much appreciated by the classic prog fans in the audience. The band’s performance was as intense and flawless as it had been the last time I’d seen them, and as hard as it is to be starstruck by such down-to-earth musicians as the Cavanagh brothers, I must admit that the effect of the darkly lovely closing number, Universal, was approaching the religious for myself and the countless others in the audience who swayed, closed-eyed in a rare moment of festival introspect. If Saturday was a day for hidden gems, Sunday was the day that the progressive genre took by storm. With Dream Theater headlining on the main stage, the geeky excitement of teenage metalheads and prog rock connoisseurs alike was tangible throughout the day. Almost too glorious, the very un-British sun drove many revelers into the cool of the beer tents during the day, while we set up camp on the shadier side of the prog stage and had a very civilized picnic to sounds such as The Enid’s orchestral rock, culminating in the last-night-of-the-proms style “Dambuster’s March/Land of Hope and Glory”, heightening the idyllic British summertime vibe of the early afternoon. My personal musical revelation of the day was the discovery of Mostly Autumn – a band influenced by sounds such as Genesis and Pink Floyd, but boasting powerful female vocals in the form of Olivia Sparnenn, ethereal melodies, and the one-woman powerhouse that is Anne-Marie Helder, who played masterful keyboards and flute as well as supplying beautifully harmonized backing vocals. I was frankly rather smitten with her, as well as the band itself, which managed to combine a haunting, folksy element and the powerful instrumentation typical of female-fronted metal, all with the precision and of 1970s prog rock. Definitely a group whose back catalogue I will be delving into! After Mostly Autumn’s set, the progressive stage became notably more crowded as preparations were made for obscure but well-loved modern prog heroes Spock’s Beard. A band who obviously believe that if you want something done properly, you do it yourself, Spock’s Beard were responsible for setting up their own equipment and mixing their own sound onstage throughout the set, as well as providing a laid-back and very interactive performance, initially headed up by stand-in vocalist Ted Leonard, who engaged the crowd effortlessly. 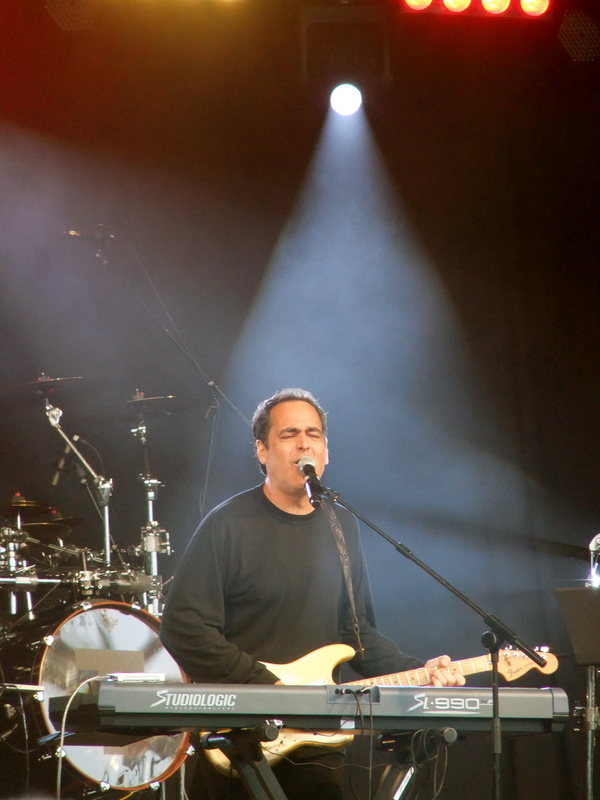 However, the real talking point of the set was the appearance from former front-man Neal Morse, who emerged on stage to riotous applause during the fifteen minute progressive epic The Light, belting out the immortal and profound lyric, “I AM THE CATFISH MAN! I CAN’T HEAR YOU!” This temporary reunion had been wishfully rumored since the announcement that Neal Morse would be performing solo material on the progressive stage on the Saturday, and while his solo set seemed rather too much of a showcase for his own ego for my own enjoyment, in the context of his former band Morse’s larger than life showmanship fit just perfectly, delightinglongstanding fans and first-time listeners alike. Despite previous assertions that we were totally not going to be insane fans, fighting our way to the front of the main stage for Dream Theater, after a quick cup of tea at the wonderfully named Mötley Brëw tent, we nonetheless found ourselves legging it to the assembling crowd, and wriggling our way into any available gaps in the sea of rockers, staking our claim a whole hour before the promised appearance of the band, our only entertainment being thunderous applause as new drummer Mike Mangini’s immense and cage-like drum kit was hauled onto the stage. The anticipation was audibly rising as we prepared to experience, many of us for the first time, the long awaited sound of post-Mike Portnoy Dream Theater. We were not disappointed! Playing with the somewhat endearing expression of someone who’s not quite sure how their arms are moving so fast, but isn’t going to complain, Mangini won the crowd over instantly, going on to wow us with a lengthy and dramatic drum solo later in the set, just in case there was any doubt left that the spirit of Dream Theater is alive and well, despite the well publicized line-up change – a fact further emphasized by the flawless and energetic performance of iconic fan favourite, The Ytse Jam, an instrumental track long held to be synonymous with previous drummer Portnoy’s influence on the band. The more seasoned members of Dream Theater seemed just as energized: James LaBrie’s voice was almost flawless, quashing the generally held opinion that his live vocals cannot live up to his recorded sound. The enjoyment of the musicians gracing the stage was infectious, and festival goers young and old alike energetically joined in with the refrains of hits such as Forsaken, The Count of Tuscany and the encore, Learning to Live. While the festival-friendly set may have sacrificed the gentler side of Dream Theater’s complex range of sounds, the high-energy numbers that we were presented with certainly went a long way to get the audience excited about the band’s upcoming tour, and ended the weekend explosively.